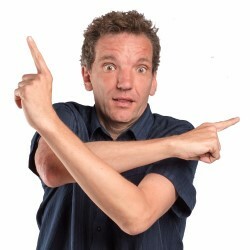 Surely the German comedy ambassador Henning Wehn hasn’t bosched out yet another new show? And what’s he still doing here anyway? Well, his lack of transferable skills keep him here and his belief that practice makes perfect keeps him going. This show is a much needed call to arms. Listen, everyone: stop pondering and hand-wringing. Instead, get on your bike and put your face to the grindstone! As seen on Live at the Apollo (BBC Two), Have I Got News for You (BBC One) and Would I Lie to You (BBC One).